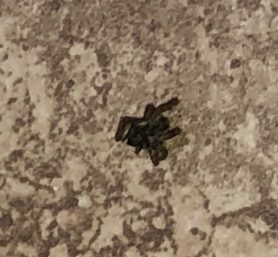 Looks like a Ground Spider (Gnaphosidae). 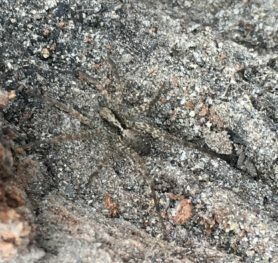 The top view is preferable for an ID. 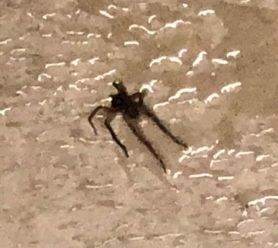 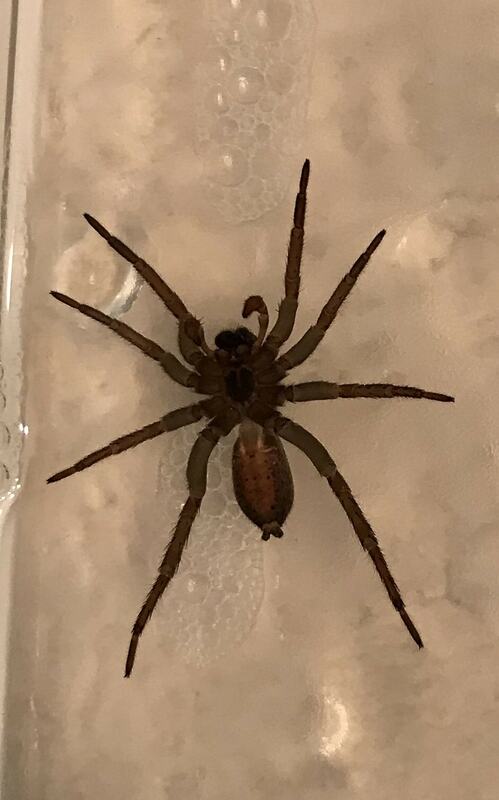 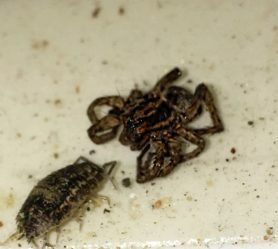 Wolf Spiders have difficluty climbing smooth surfaces, so it may have been able to get up the wall if there was a rough surface there but once it fell into the tub couldn’t get out on it’s own.